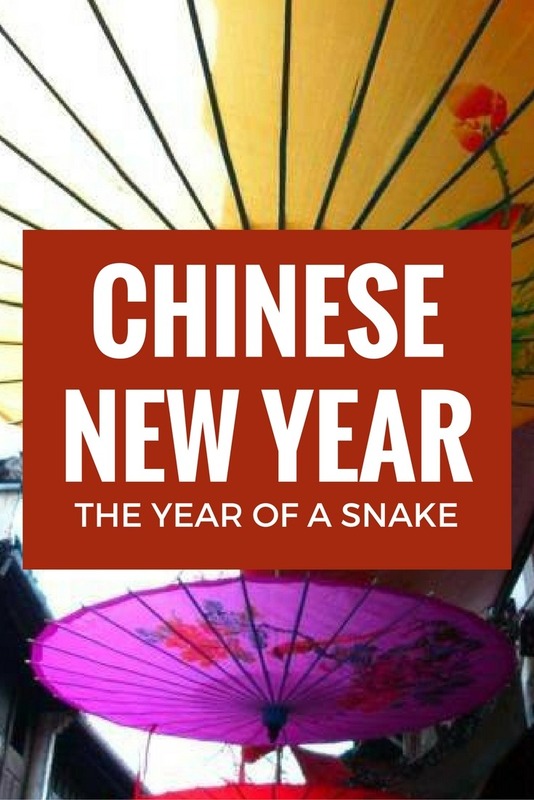 Spring Festival (aka Chinese New Year) is fast approaching! This year, New Year’s Eve is on February 9th and the festival will continue for a week after that. Our school is decking the halls with snakes, the colour red, decorations and information about the festival. To the Chinese, this is their Christmas holiday. It’s the most important holiday of the year. Everyone is getting in a festive mood, the students are gearing up for 3 weeks off of school, homes are being cleaned & decorated and lanterns and lights are being strung up all around town. 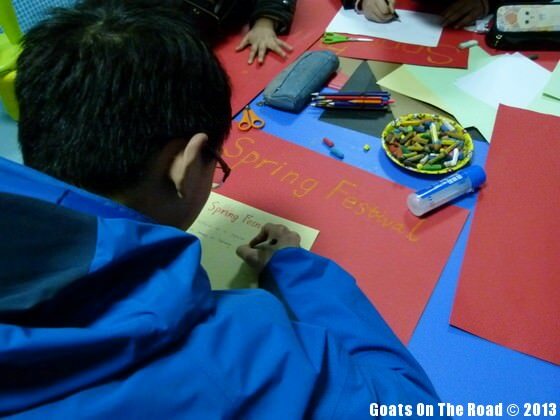 Dariece’s student making a Spring Festival poster to decorate the school. 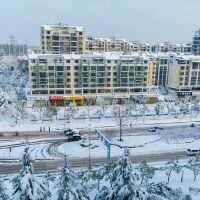 Yangzhou, China. 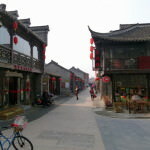 Red lanterns line the streets of the Old Town for Chinese New Year. Yangzhou, China. Much like the western New Year, this is a time to welcome in the coming year with family and friends. People will spend loads of money on food, red decorations, new clothing and presents. The days leading up to the new year are all about wrapping up any unfinished business and making a fresh start in the next year. People will get haircuts, pay off outstanding debts, buy new clothing and do a full sweep of ones home to thoroughly clear away any bad luck and make way for prosperity and good luck in the new year. The colour red symbolizes strength, joy and good fortune and is worn and seen everywhere during this time. 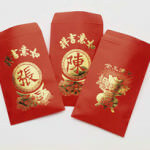 The traditional red envelopes used for giving money to a family member during Chinese New Year. On the eve of the new year, families will get together and have a massive feast of duck, chicken, pig and sweets. Dumplings are typically eaten as well because their shape looks like the ancient Chinese currency (yuan bao) and therefore the Chinese believe that the delicious dumplings represent wealth and a profitable year. The elders will give money to the children in the traditional way, red envelopes. At the end of the evening, fireworks will go off all around the country. We see fireworks almost every day living in Yangzhou, China, but I imagine they will be out in full force during this festival time and especially on New Year’s Eve! We’re both really excited to see what Spring Festival has in store for us. 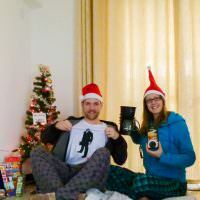 We spent this holiday in Myanmar last year but there wasn’t a whole lot going on. Who knows, maybe we’ll be invited to a local friend’s home or a student’s home to celebrate with their family. That would be amazing!